Stop and Smell the Chocolates: It's A Party And You're Invited! 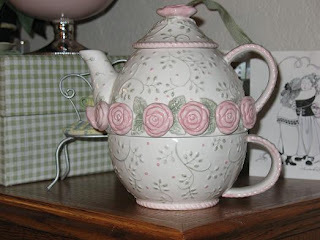 It's Tuesday and I usually post something about tea like teapots, tea poems, or tea links (Tea for Two-sday), but I knew you wouldn't mind if we just had a party instead, especially if we start off with tea and scones! 5 Minutes For Mom is hosting a HUGE party all week - the Ultimate Blog Party 2009. There are live parties happening, bloggers linking up, and prizes to be won! Stop over there to join the fun and meet some new bloggers at the same time. 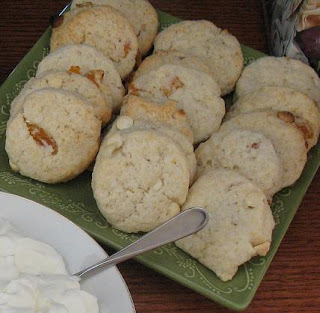 Come on in and get that cup of tea and a White Chocolate Apricot Cream Scone before they're gone. And you should know that there is always chocolate available here! 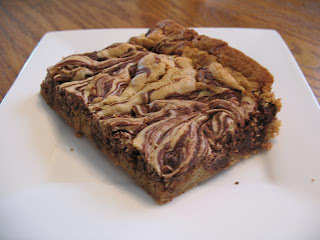 Try a piece of Chocolate Cinnamon Bread, some Cookies & Cream Dessert, or a Marble Bar. I'm sure you'll find something you like! Stop back here on Fridays for "Would You Like Chocolate With That?" 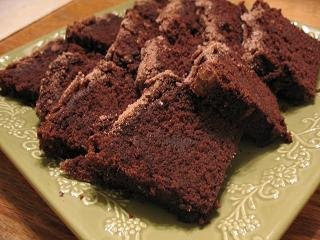 to get some great chocolate recipes and link up your own. Since I enjoy parties so much, I like them to last longer - so I occasionally have theme weeks. 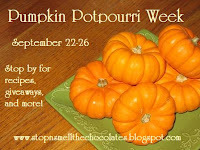 Look for fun ideas at Summer Campout Week; get yummy pumpkin recipes from Pumpkin Potpourri Week; and warm up with new soup recipes from Simmering Soup Week. In fact, there's another party coming up here in a couple of weeks (4/9) - my 1-year Blogoversary Party! Come on back for fun and prizes! I hope you enjoyed stopping by today and that you will come back soon! You can subscribe by e-mail here or subscribe in a feed reader on my sidebar. And follow me on twitter (@stop4chocolate) so you don't miss anything. Thanks for partying with me today! Take some chocolate with you while you go to a few more parties! Work it girl! Work it!! LOL. I just love you my friend. I can hear you typing this stuff in my mind. Did that make sense? I'm sure to you it probably did! Hee! Hee! I'm working on the guest post. I'll have it to you by tomorrow. Big Promoting thyself size hugs to you! LOL. You know I love you! LOL. Nice to meet you! I have been to both Mexico and Europe but it seems we still have a lot in common. I collect refrigerator magnets, love LOST and I have moved around a lot. I wish we had the dentist thing in common too. Unfortunately, I spend too much time at the dentist office. Have a great day and enjoy the party! I'm just stopping by from the UBP! Nice to meet you! You can visit my blog at http://www.marielynnboutique.blogspot.com or my website http://marielynnboutique.com! Have a great day! hi!!! do we know each other???? just kidding! i had no idea you did tea for two-sday here! what a great idea and i have to come by, i'm a tea-a-holic!! it's good to see you at the party, have fun!! I love your blog title! I'm stopping over from UBP-your recipes look delicious. Nice to meet you! 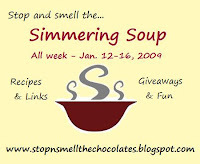 This is my first blog party and I'm having a blast reading new blogs and meeting new people. I hope you're able to come and visit my party here. I think I just gained 2 pounds on your chocolate desserts. Yummy. Just signed up to follow your blog. Love it! Wowee that marble bar sounds delicious!!!! Hi there, I’m stopping by from the UBP. It’s nice to meet you! All of the chocolate is making me hungry. Just stopping by from the Ultimate Blog Party! I love, love your blog and will be back to visit again soon. This is my first blog party and what GREAT fun! The food is fabulous and you make GREAT pictures. I have been so touched by the comments that I have decided to give 2 boxes . They will be the $100 deluxe size. I really do want to bless people!!! I want my blog to encourage others. I have decided that giving is life at its BEST. The drawing will be Saturday! Oh my, look at all those yummy treats! Chocoholic here just visiting from the UBP and wanted to say hi. Have fun partying! Nice to meet you! I am not new to your blog but i will intro myself anyways since i don't frequently leave comments. I am Courtney and i am also partying hardy with the UBP. 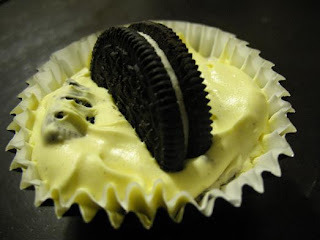 I have 2 boys ages 4 and 3 and one baking in the belly due sometime at the end of they year. I have been married for almost 5 years to the most wonderful man i have ever met. Thank you so much for stopping by Like a Warm Cup of Coffee to comment on my post. I pray that these suggestions will he useful to you. I'm so glad you can't get calories from looking at the computer screen. You always have scuh yummy goodies! Oh my gosh, what a fun blog you have - I feasted with my eyes and I'm going to add you to my fave links to come back over and visit some more. Stop by and visit as well! Thanks for welcoming me from the blog party! OMGoodness! My mouth is watering just from looking at those pictures!!! Yummmmm! How much fun! Very colorful and cute site! Hi! Thought I'd stop by via the UB Party. I'll take some scones and a cup of tea, please. Thanks for the band introduction, too. I bet my girls would like them. Well, it's nice to "meet" you at the party. Come on by for a visit sometime. Blessings! OMG I am so wanting chocolate now! Party hopping and participating too so stop in for a visit.